Neelie Kroes, Commission vice president responsible for the Digital Agenda, participated in the World Economic Forum, in Davos on 21-25 January 2014. She talked about a vision for a connected, open and secure Europe and especially emphasized that Europe should not reject the huge economic and social opportunities offered by Big Data. 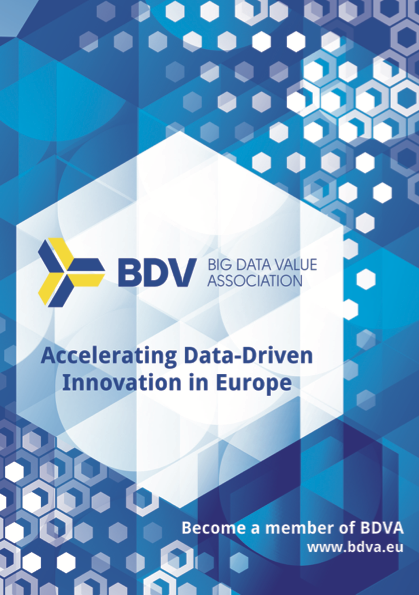 On 15 January, the European Commission organised an information and networking day focusing on the Big Data Innovation-related objectives of the Horizon 2020 Work Programme for 2014-2015. The first ICT call for H2020 opened 11 December and closes the 23 April. Today, leading representatives of industry, science, and politics kicked off the establishment of the Smart Data Innovation Lab (SDIL). This high-performance infrastructure facility and the supply of data from industrial processes are major prerequisites for excellent research relating to big data. Big Data as a growth opportunity for the European economy and society was emphasized in a speech of Ms. Neelie Kroes, Commissioner for the Digital Agenda given in November 2013 during the ICT conference in Vilnius. In her speech, she stressed that policy makers should support this process in several ways and called for a European Public Partner Partnership.